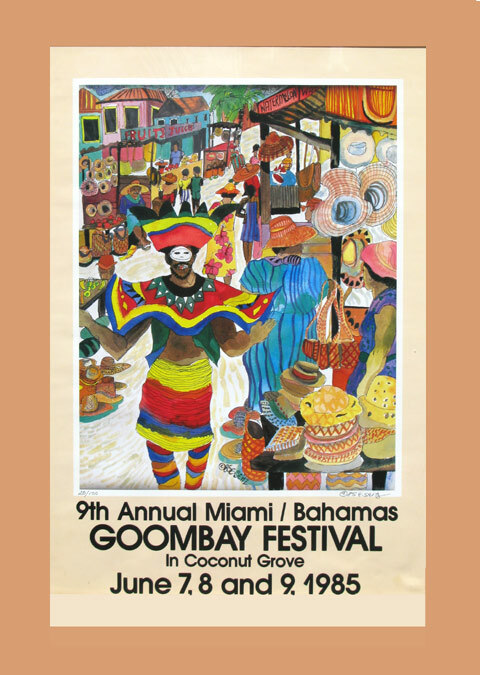 1988 Coconut Grove – 9th Annual Miami/Bahamas Goombay Festival filled the streets of Coconut Grove, Florida uniting the town from one side to the other. 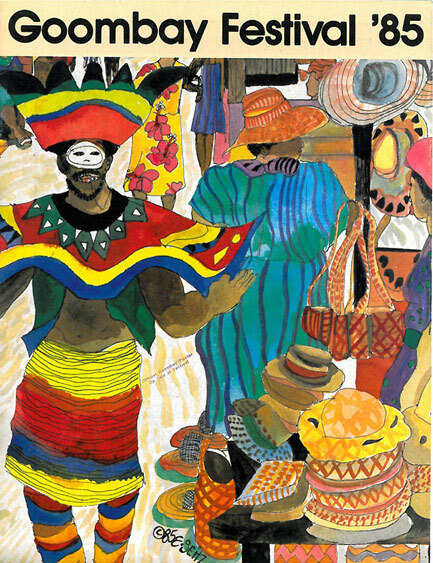 I was inspired to do this watercolor of the Junkanoo and the market ladies as I was commissioned to be the official Goombay Festival artist for this summer. Previous Previous post: Commissioned paintings for Caneel Bay Hotel, St. Johns V.I. Next Next post: Commissioned paintings – Gestalt House, Tortola B.V.I.